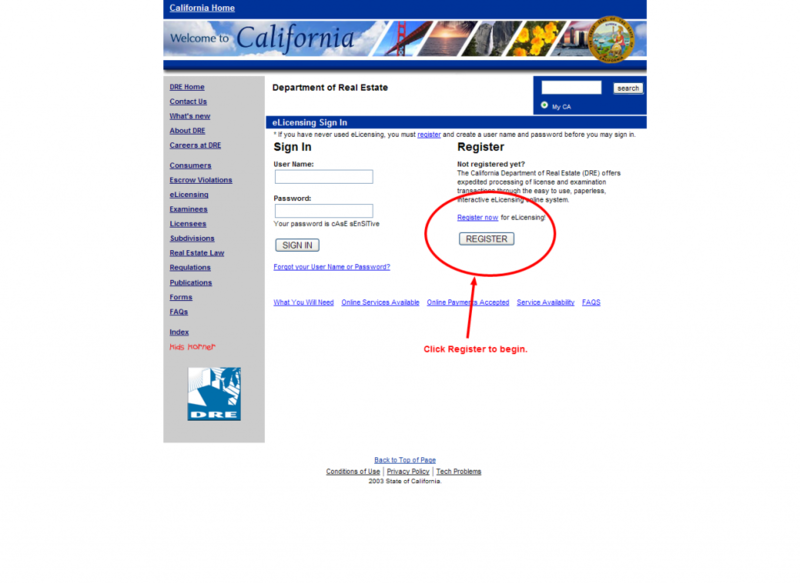 Please follow the instructions below to register and transfer your real estate license with the DRE. 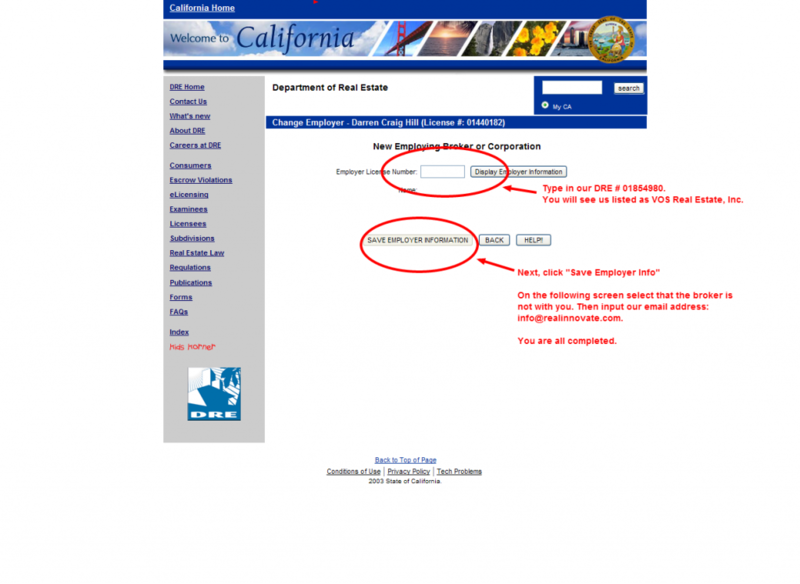 Click: https://secure.dre.ca.gov/elicensing/ to go to the DRE elicensing website. 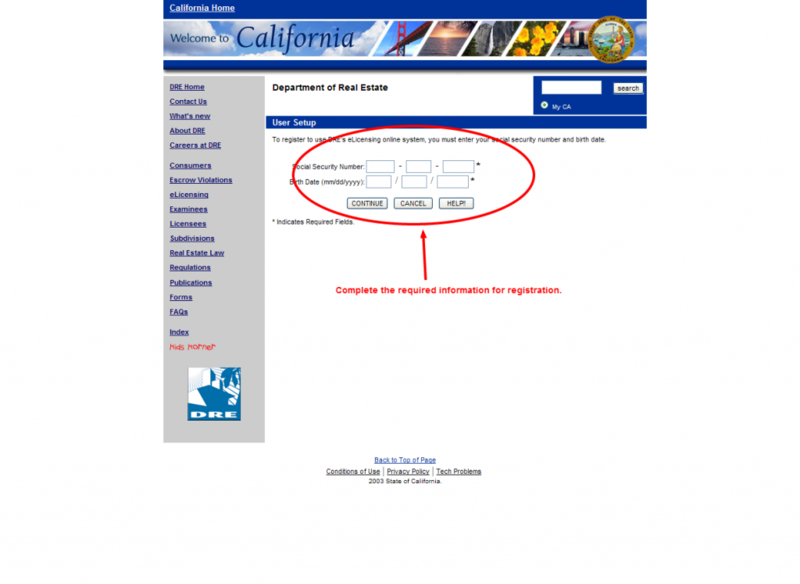 Click on the “Register” button to continue. Select “Change Employer” to continue. Enter in our company DRE # 01854980 and click “Display Employer Information”. 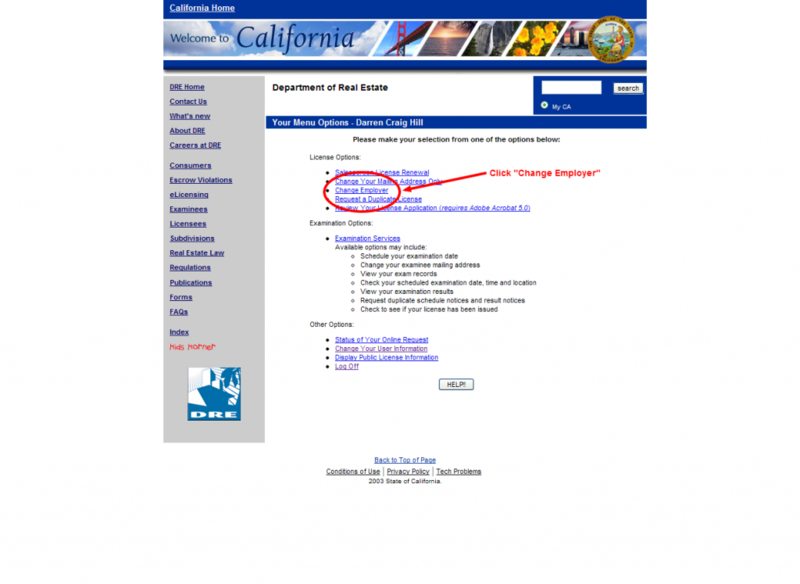 You will see us listed as VOS Real Estate, Inc. Click “Save Employer Info” to continue. Step 5. elicensing is complete. The next screen will ask if the broker is present. Select “NO”. It will then ask to put in your broker’s email address. You have Completed The eLicensing Process. All that is left is for us to confirm you as a new employee, which we will do within 24 hours. You can officially begin working on transactions as a Real Innovate Agent.